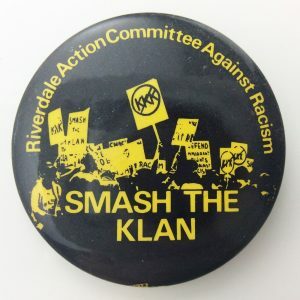 While the Ku Klux Klan attempted to justify their entry into Toronto, backlash from local activists eventually drove the Klan out of Leslieville and eventually Toronto. In 1980, Toronto’s Leslieville neighborhood were shocked to learn that they were getting a new neighbour: The Ku Klux Klan. Founded in Tennessee in 1865, the KKK are a radical white supremacist organization who are known for committing violence, primarily against Blacks in the American South. The KKK took advantage of rising racial tensions in a neighbourhood containing a growing East Indian population. Opening an office on 1439 Dundas St., they began an aggressive recruiting and racially-motivated propaganda campaign. The KKK took advantage of emerging racial tensions in the neighborhood following an influx of East Indian immigrants to the area, primarily on Gerrard St. E, the same street as their Canadian headquarters. The community response, however, was overwhelming. 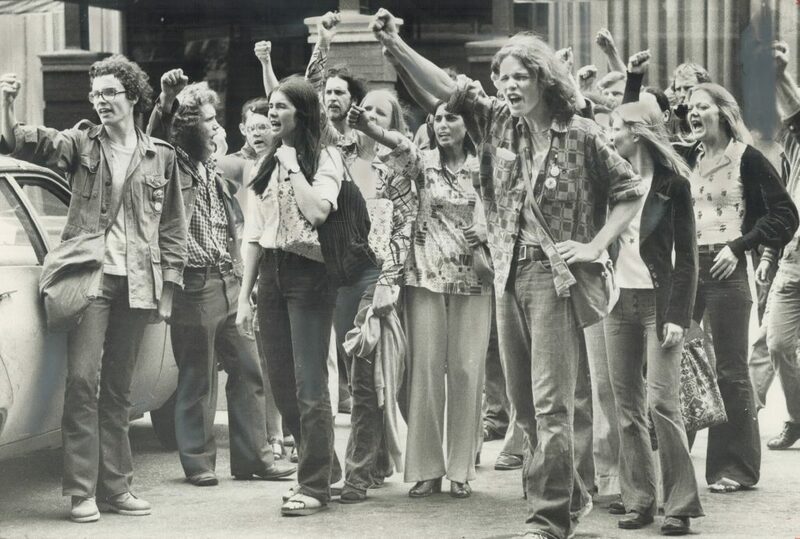 The Riverdale Action Committee Against Racism, a group of local activists, took to the streets to defend the interests of Toronto’s immigrant community, who underwent a wave of racially-motivated attacks in Toronto during the 1970s. 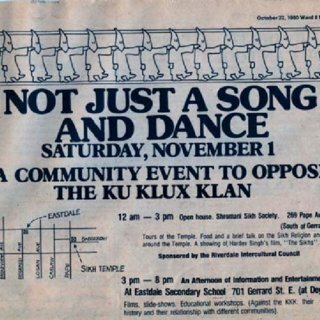 While the local government could do little to prohibit KKK activity, The protests drove the group to Parkdale, and marked a victory against racism and xenophobia. In a surprising twist, KKK funds raised in Toronto ended up being used in an attempted coup on the Caribbean island of Dominica, resulting in the arrest of the former Canadian “Grand Wizard”. “I want to slam the door of Toronto in their faces. They’re bloody well not welcome in the province” – former Metropolitan Toronto Chairman Paul Godfrey.